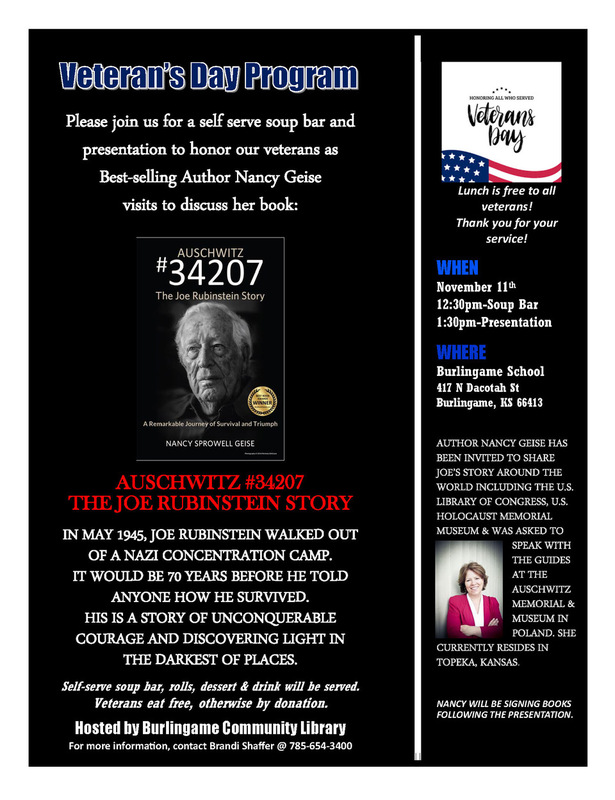 Thanks to the Burlingame, Kansas Community Library for this Wonderful Invitation! Join me tonight in the beautiful town of Troy, Kansas! Copyright Nancy Sprowell Geise © 2019. All Rights Reserved.